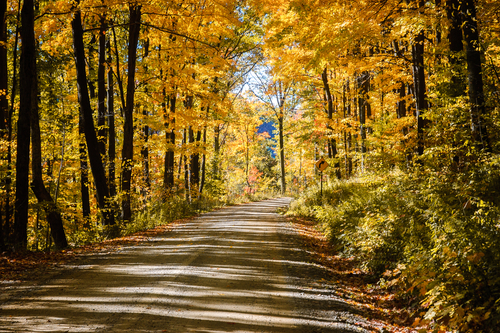 Fall is one of the best times of year to travel in an RV. The summer crowds have left the roads, the temperatures are mild and many campgrounds offer discounted off-season rates. However, you don’t have to own an RV to travel in one. Here at Fretz RV, we offer a wide selection of rental travel trailers and motorhomes to those who want to hit the roads without making a long-term purchase. Renting an RV is one of the best ways to test the RV lifestyle while enjoying quality, affordable time with your friends or family. There are countless reasons why you should try renting an RV this fall, but the following are just a few instances where RV travel proves superior to traditional plane and hotel travel. Renting an RV will save you big bucks on your overall vacation cost. Forget about purchasing expensive plane tickets for every member of your family. Even more, your RV serves as a cozy and comfortable home on wheels where you can sleep, play and prepare your favorite meals affordably. Flying is no longer fun. It’s plagued by long security lines, canceled flights, delays, lost baggage and so many other complications. Renting an RV puts the fun back in travel and gives you the freedom to choose when you want to move and how much time you want to spend on the road. So many families embark on a family vacation just to run in different directions when they arrive. Traveling in an RV means you spend more time making memories together. Whether you’re cruising down the road, cooking out at the campsite or stopping along your journey to check out a roadside attraction, you’re always enjoying new experiences together as a team. Renting an RV from Fretz RV is simple. Log onto our website, choose your preferred RV and submit a rental quote request. We’ll contact you quickly with all of the details to get your dream vacation underway.